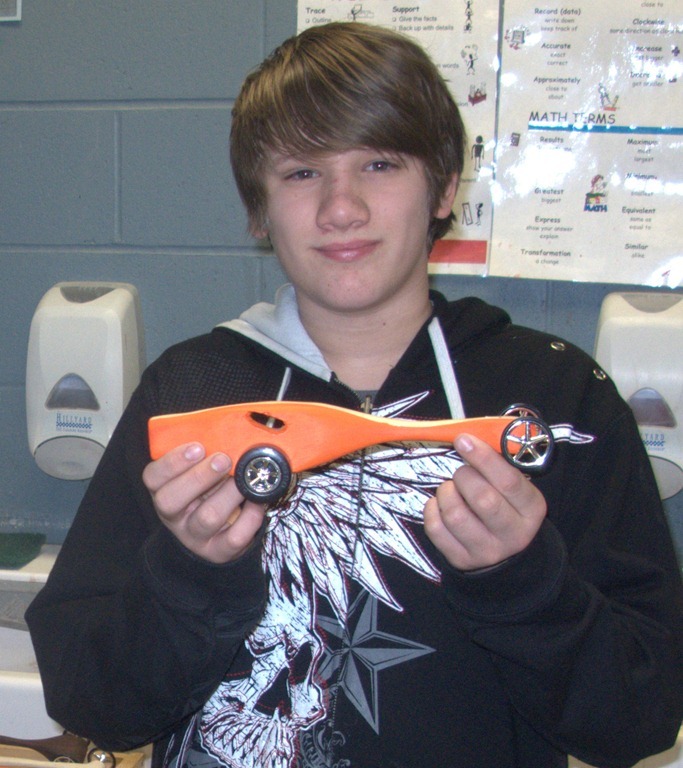 I got an invitation from my mentee, Chad Dougherty, to attend his Industrial Tech class at the Northfield Middle School on Monday to watch the CO2 car races. IT instructor Tim Biegert and Instructional Educational Assistant Lance Poole graciously allowed me to take some photos and video. For the CO2 races, each student shapes a block of wood into a car body shape, drilling holes for the axles and the CO2 cartridge. Considerable sanding, sealing, and painting in involved. Students attach two eyehooks to the bottom of each car so that a string can be used as a guide to keep them on the track. On the day of the race, student cars are paired up to race against each other but the key metric is the elapsed time for each car. Mr. Biegert inserts the CO2 cartridges and a student triggers a mechanism that punctures the seal on the cartridges and sends them down the track at 20-50 MPH, taking about a second to finish. Finishing times are automatically recorded to a computer and displayed on the screen, with rankings likewise updated after each race. It was quite an exciting event to watch and clearly exciting for the students. Here are 6 more photos and a 10-second video clip of Chad’s race. 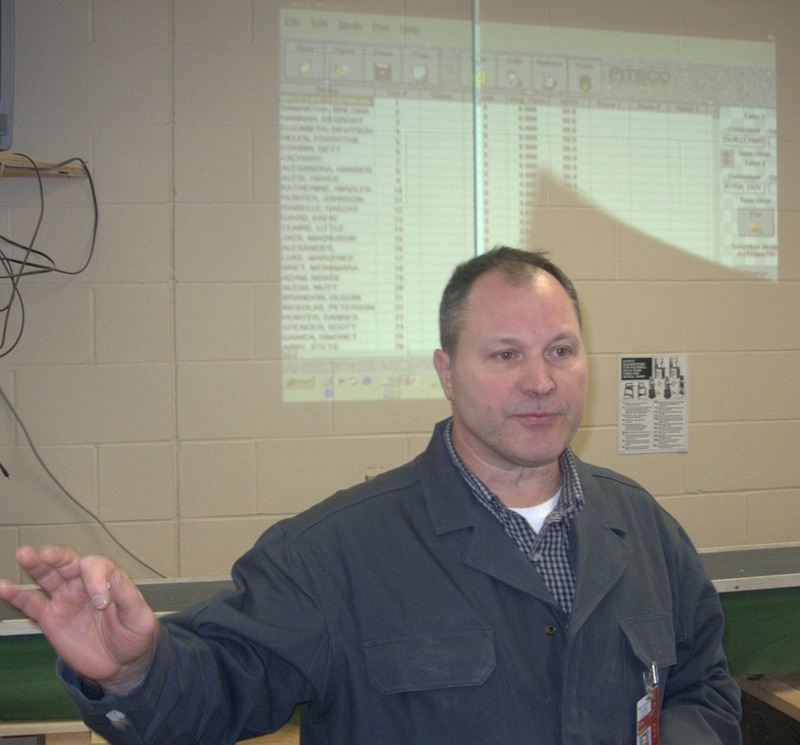 Whither the clocks of the Middle School Industrial Technology classes? 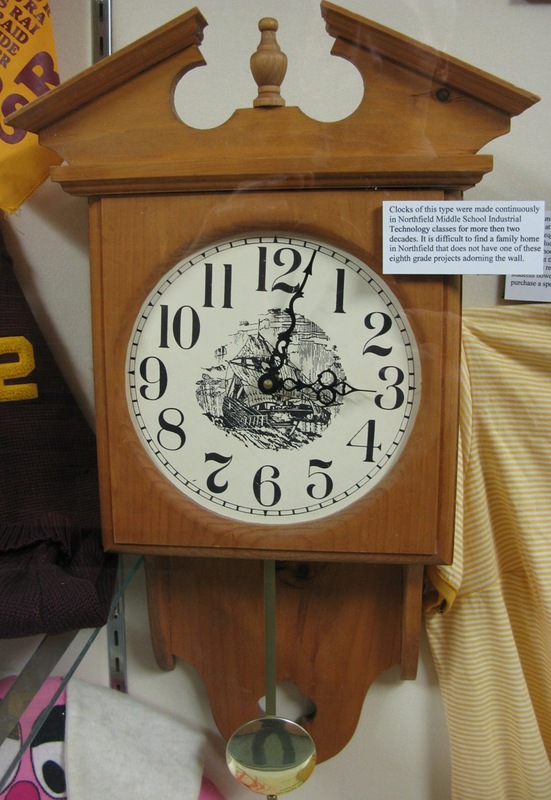 Are these clocks still made at the Northfield Middle School? Was there ever any educational benefit?